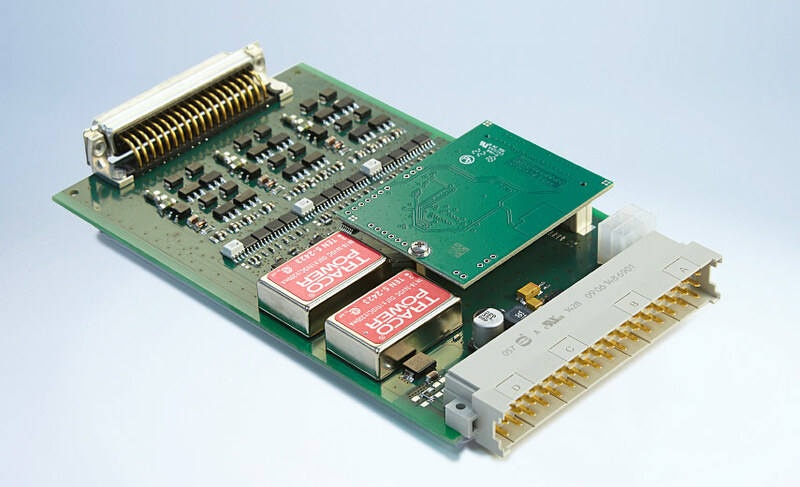 Digital input stimulation card TS 950 for the LV-124 signal output with frequency and static level output. The levels of the output signals are defined by an externally applied reference voltage for the TS 950. The control of the TS 950 takes place via the integrated CAN bus connection. The desired setting (frequency, duty cycle, mode) can be assigned to each of the six short-circuit-proof output channels individually, depending on reference voltage and the selected mode.